4 Bedroom Detached House For Sale in Middlesbrough for Guide Price £189,500. Beautifully finished property, renovated and extended to provide light and spacious rooms throughout benefitting from three reception rooms and three generous bedrooms. 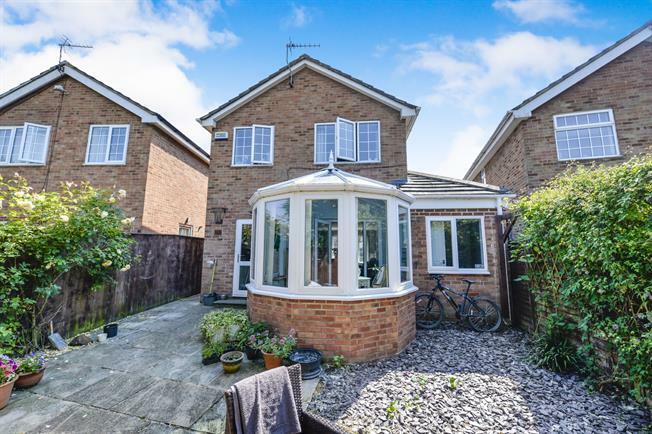 Located within the popular village of Great Ayton, this delightful detached residence offers versatile accommodation with the allowance of either a play room or ground floor bedroom with en-suite should it be needed. Located just a short walking distance from the many amenities Great Ayton has to offer including well regarding primary schools, large variety of shops and local farm shops. Fitted with a superb range of wall and base units with integrated appliances. With clear glass door to the rear garden providing ample light. Spacious additional room offering a variety of uses, with window to the front aspect. Ideal as a ground floor bedroom if needed, or further sitting room, children's play room etc. With shower, WC, hand wash basin and roof light. With fitted airing cupboard, doors leading to all bedrooms and family bathroom. Generous master bedroom fitted with mirrored wardrobes, with further storage cupboard and views to the front. The front aspect has been well designed to allow for ample parking, with low wall to the front aspect. The rear has been designed to allow for low maintenance living offering half block paved patio area with a further slate gravel covered are to provide a suitable space for outside entertaining.